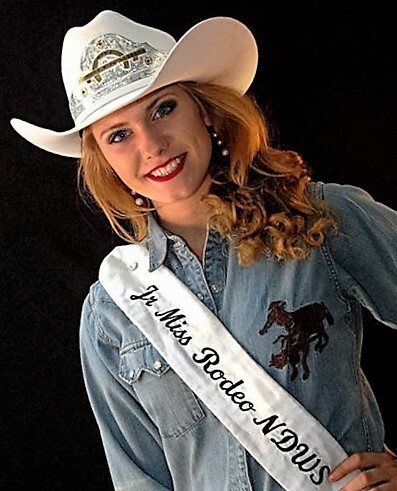 Are you interested in becoming Miss Rodeo ND Winter Show, Junior Miss Rodeo ND Winter Show or Rodeo Princess? Please click HERE for more information on how!! 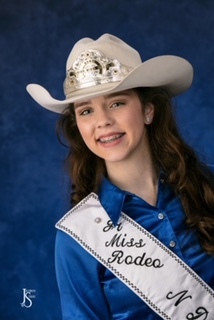 Congratulations to our 2019 Miss Rodeo Princess, Megan Jean Hertz, and our Rodeo Queens, Callie Enander ~ Miss Rodeo North Dakota Winter Show and Grace Stanke ~ Jr. Miss Rodeo North Dakota Winter Show! 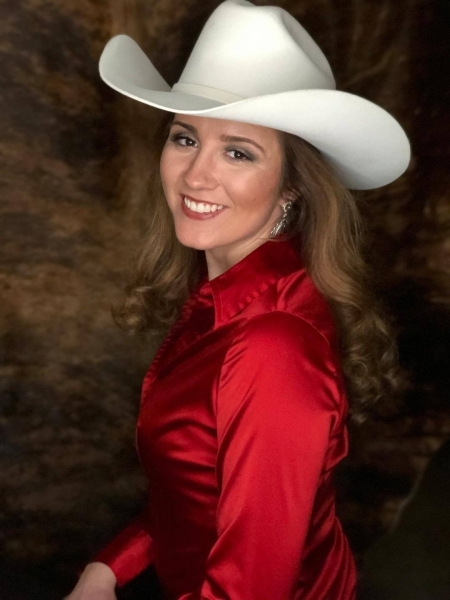 She will also go on to compete at the Miss Rodeo North Dakota competition in, October 2019, during the Badlands Circuit Finals Rodeo in Minot, ND. basketball, competes in track and field, and will be playing volleyball in a few short weeks. 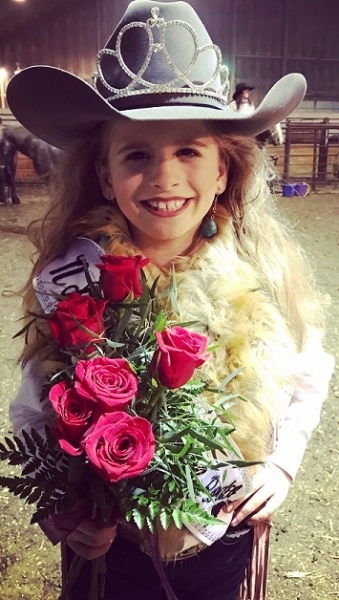 Her enthusiasm for rodeo is reflected in the arena where she competes in the National Barrel Horse Association, Little Britches Rodeo Association, and the Wing Horse Club. 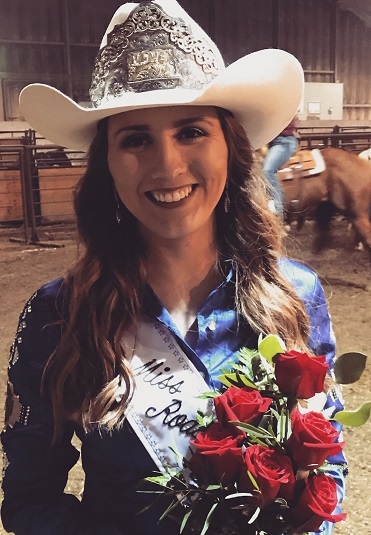 Megan is looking to continue building her speaking platform, Rodeo Heartstrings, where she shares her real life rodeo experiences, have taught her many core values that she'll have for the rest of her life. Kara Berntson is the 22-year-old daughter of Neal and Marla Berntson, of Kulm, ND. She is a recent graduate of NDSU, where she received a bachelor’s degree in Animal Science with a minor in Equine Science. 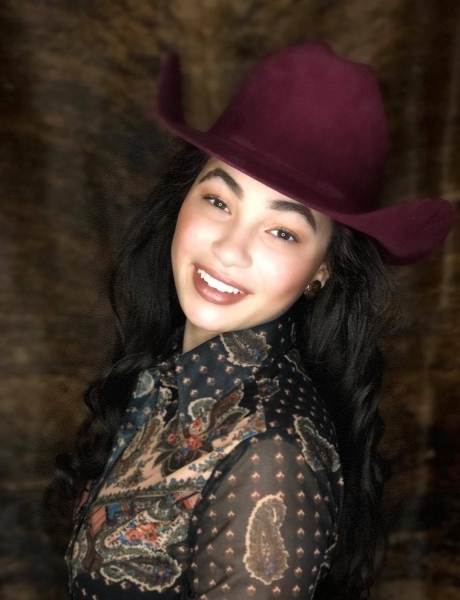 Kara is a member of Triple R Coteau Horse Club and Ashley Rodeo Club. She would like to thank Ag Outfitters of Kulm, ND for sponsoring her during the North Dakota Winter Show. Kasen Anderson is the 16 year old daughter of Brian and Kristi Anderson, of Fort Ransom, ND. She is currently an honor student at Lisbon High School and is actively involved in FFA, 4-H and the Standing Rock Lutheran Church. Kasen's hobbies include playing volleyball and basketball, hanging out with friends and anything to do with horses. Kara Berntson is the 21-year-old daughter of Neal and Marla Berntson, of Kulm, ND. She is currently a senior at NDSU, pursuing a bachelor’s degree in Animal Science with a minor in Equine Science. Upon completion of her studies, she hopes to get involved in animal genetics. Kara is an active member of NDSU Horsemen’s Association and NDSU’s IHSA Equestrian Teams. 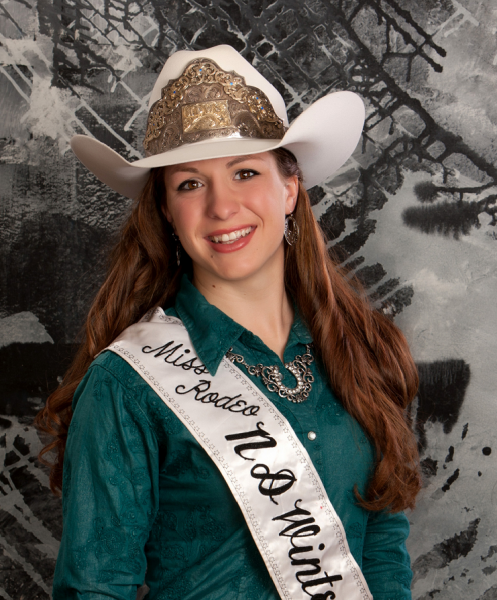 She competes on both the NDSU Hunt Seat Team and NDSU Western Team throughout the school year. Kara is a member of Triple R Coteau Horse Club, Ashley Rodeo Club, and is a reporter for the NDSU Horsemen’s Association. She would like to thank Ag Outfitters of Kulm, ND for sponsoring her during the North Dakota Winter Show. Eva Vangsness is the 16-year-old daughter of Gerald Vangsness and Diana Hersh, of Walcott, North Dakota. She is the youngest in her family and has two brothers. Eva attends Kindred High School and will be in the graduating class of 2019. 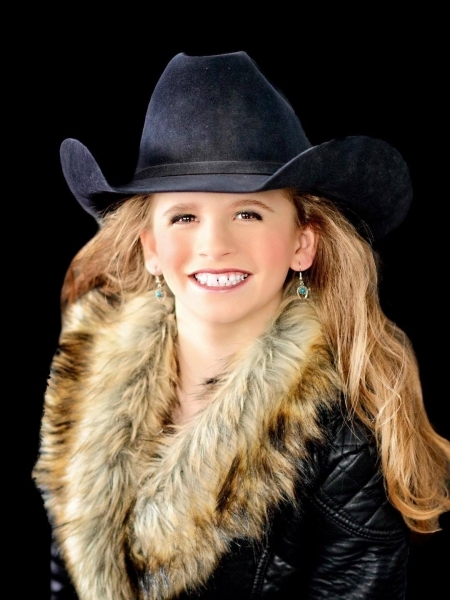 She is very active in High School Rodeo, FFA and Speech, and belongs to other rodeo associations as well. Her future plan after graduation is to go into nursing, as she is passionate for helping others. 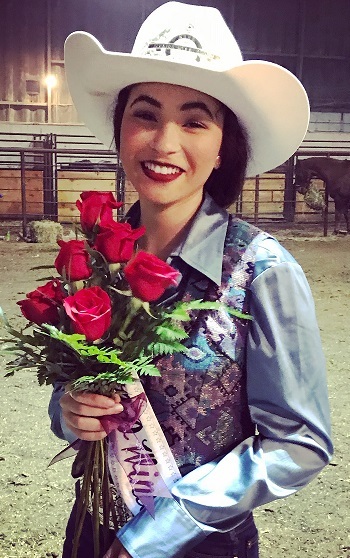 When Eva was crowned Junior Miss Rodeo North Dakota Winter Show. She stated "All those hard months of studying and practicing have paid off". "I could not have done it without all of my friends and family, who have supported me while I go after my goals. Winning this title has been one of my major goals for the year and I achieved it!" I like the quote by the famous actor John Wayne, "Courage is being scared to death, but saddling up anyways". The mission of the North Dakota Winter Show is to provide an education for youth in the various segments of agri-business and to promote and expand agriculture through improved agriculture practices and techniques, and to honor our pioneer culture and heritages. We will also strive to establish a quality and entertaining learning experience for people of all ages.